Port Townsend Sunrise Rotary Club sponsors the Running of the Balls which is a golf ball “race” down a course on Monroe Street and (if you are lucky) funneled into the winner’s circle. Each ball has an assigned number that corresponds to a purchased ticket. 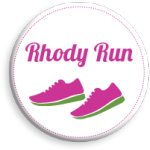 Setup begins at noon, with the race at 12:30 p.m on Rhody Grand Parade day. 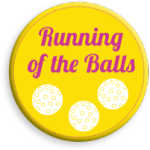 Advance “Running of the Balls” tickets are available at the Port Townsend Farmers Market on Saturdays and Safeway on select dates. Tickets are sold on parade day at the top of the course at Monroe and Lawrence streets from 10:30 a.m. to 12:15 p.m. Tickets are $5 each or five for $20. The winning ball earns its “owner” $2,000 for first place, $500 for second place and $250 for third place. We are also again seeking corporate sponsorships to represent teams that will purchase 100 colored golf balls to be added to the approximately 2,500 white golf balls representing purchased raffle tickets. The four teams are eligible for the individual prize as well as the team competition. The team with the most golf balls to reach the finish gate wins back $400, which must then be awarded to a nonprofit of its choice.